Thank you for taking part in Pyjamas for PanCan! Some people develop diabetes before or after a diagnosis of pancreatic cancer. 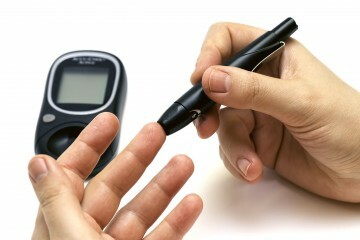 There are different types of diabetes. It is important to get advice relevant to your own circumstances. Some people may need tablets to manage their blood sugar levels, others may need insulin injections to replace the insulin the pancreas would have normally produced. You may be referred to a Diabetes Specialist Nurse who will help you manage your diabetes, give help and advice on your insulin injections and managing your diet. If you are at home following surgery and have symptoms of diabetes including thirst, rapid weight loss and you are passing a lot of urine, contact your GP. What foods may help control diabetes? You can help maintain your blood sugar levels as close to normal as possible by maintaining a good balance between a nourishing healthy diet, nutritional supplements, medications and physical activity. This not only helps improve blood sugar control but also has an impact on physical healing, weight maintenance and quality of life. However, it is important that you get the balance between healthy eating and maintaining your weight. If you are struggling to maintain your weight, you should not restrict your diet further to try and reduce your blood sugar levels. Ask your doctor, dietitian or diabetes nurse for advice. No single food will supply all the nutrients a body needs, so good nutrition means eating a variety of foods. It is important to eat foods from each group throughout the day. Try to ensure you eat regularly and have a mix of foods throughout the day, to ensure the body has a proper balance of all the nutrients it needs to function. Eating meals and snacks at regular times is also necessary for controlling blood sugar levels. Bread, rice, potatoes and pasta contain carbohydrate, which is broken down into glucose and used by your cells as fuel. Choose carbohydrates with a lower glycaemic index (GI) which are more slowly absorbed. These won’t affect your blood glucose levels as much and they’ll keep you feeling fuller for longer. Contact your dietitian, Diabetes Specialist Nurse or your doctor for specific advice on diet and diabetes.